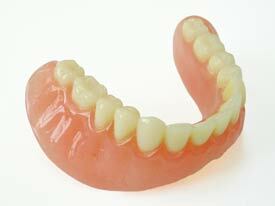 Soft liners require regular follow-up visits with Dr. Abel to examine the fit of dentures and general oral health. For more information about Soft Liners or to schedule a consultation with Dr. Abel, call our office in Rockville, MD at Smiles By Design Phone Number 301-770-1447. Rockville Dentist, Martin G. Abel, DDS was the first accredited member of the American Academy of Cosmetic Dentistry in Maryland and has over 40 years experience in providing the very best in Dental Care to patients throughout Maryland, Washington, DC and Northern VA. To schedule an appointment with one of the premier cosmetic dentists in the region, contact our office today at 301-770-1447.